TechComm Labs : Python. Astronomy. Science. FOSS. Learning. Change. Python. 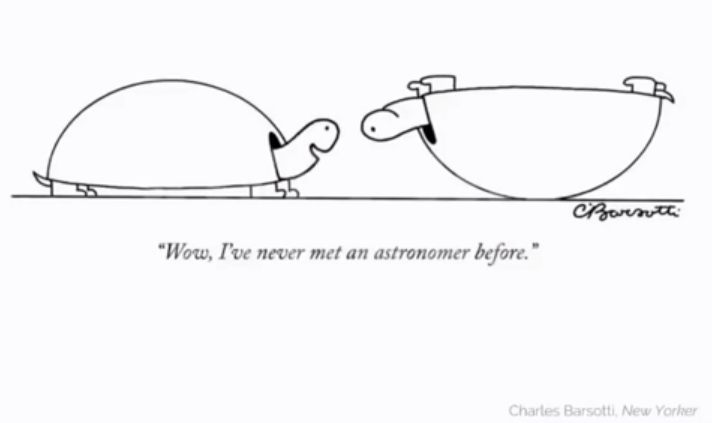 Astronomy. Science. FOSS. Learning. Change. One of the projects that illustrates a new way of doing science is: “The Jupyter Notebook is an open-source web application that allows you to create and share documents that contain live code, equations, visualizations and explanatory text. Uses include: data cleaning and transformation, numerical simulation, statistical modeling, machine learning and much more.” Vanderplas notes that the LIGO finding of gravitational waves is published in a Jupyter Notebook and that the software is on GitHub. That means that anyone can follow the trail from raw data to conclusion using the same steps and calculations the scientists actually used. This is a level of transparency that the climate alarmists could emulate. I used to think the publications problems could be addressed by having institutions publish the work of their own scientists in an online library and depend upon I’net search and social media to get the word out. The institution’s credibility would be some assurance combating sloppy work, fraud, and bad science. From what Vanderplas is saying, it looks like the institution, a University or whatever, is being replaced by ad hoc working groups and the FOSS “many eyeballs” ethos for finding bugs and flaws. There is change in the wind and it isn’t always obvious. It’s synthesis and synergy that is changing the way things are done and how problems in social structures and information creation and disbursal is undergoing revolution. Posted by bryan on Saturday, July 29, 2017, at 10:03 pm. Filed under Academia, Education and Support, STEM, we live in interesting times. Follow any responses to this post with its comments RSS feed. Comments are closed, but you can trackback from your blog.